As these games are most likely a new generation, new Pokemon are to be expected. What new Pokemon do you guys want to see in the new games? I'm not sure about many specific ideas I want, but there are three things I would definitely like to see: more evolutions or pre-evos of past Pokemon (and not Kanto ones, for once, as Kanto has been done to death and then some by now), more Mega Evolutions (especially for Gen 4 onwards and for the other starters) and just more new Pokemon in general (i.e. more than 100 this time, and NOT counting new forms/Mega Evolutions as new Pokemon). Of these, I can see the first as being the most likely, the second is also feasible (but I'm not sure if GameFreak want to do more of them, based on there being no new ones in Gen 7), while the third may prove to be more of a challenge considering how they'll likely have to re-render all the existing Pokemon and forms again. If I had to ask for one specific thing to be made into a Pokemon this generation, it would have to be a platypus of some description, ideally a Water/Poison one for biological accuracy. There's probably lots of other things I would want to see as Pokemon this new generation (if that is indeed what we are getting), but that's the main one that currently comes to mind. Id like to see a elephant starter. It could work for all three types as well. A Grass/Rock type mammoth with HA skill link, shooting bullet seeds and rock blasts from its trunk. A Fire/Ice elephant that regulates its and its surroundings temperature by releasing steam or cold air, as well as flamethrowers and ice beams. A Water/Electric hydrophant, aka hydro elephant. Really an elephant would work for all three starter types. I also want to see a Fire/Fairy, Dark/Fairy, and a Fighting/Fairy type, but just in general I want to see more unused type combos being used. Maybe give Farfeth'd an evolution maybe one were it becomes a Samurai themed Fighting/Flying type. I know this is a long shot but I would like it if the mascot legendaries aren't gargantuan for once. Yeah my wish would of course be "at least 100 new Pokemon" but I'm prepared for the likely possibility that we won't get that many. A water/grass type that doesn't look horrible, possibly a manatee or a water lilly or a lotus. Several ice types modeled after ice age mega-fauna: ice/dark Direwolf, ice/grass Mammoth, ice/steel Cave Lion, ice/fighting Aurochs (though that could also be a Tauros regional variant) ice/rock Wooly Rhino etc. Something based on snake stars crossed with gorgon's heads. I don't really mind the types. I just want to see new unused species of animals, plants and inanimate objects turned into Pokemon. Also, I just wish they would introduce more cross-gen evolutions. For example, a Dunsparce or Girafarig evo. Pretty sure Ultra Beasts are done for Gen 7, at least until Alola remakes. But sure, I'd love more of them. Edit: Might as well post to the rest of this dead space. I hope the next generation's third legendary has a progression similar to Zygarde's and Necrozma's forms, but rather than a mid/late-game species as its base, it has a 400- BST form for early game, effectively filling for four stages(Baby, Middle, Full, Mega) rather than three stages. *A sub 500 BST Dragon/Ground species that evolves from a Normal/Ground burrowing serpent, would work as a counterpart to Altaria and get Coil. *A Swamp thing evolutionary line that exists in both Water 2 and Human-Like Egg Group. Can have a mermaid line as a counterpart with gender difference. *An organic carbuncle, as opposed to Carbink, that exists in both Mineral and Field egg Groups. *A shield variation of Honedge. Its final form would have a Shield and Speed-based stance for status spam. *A cloud Pokémon that evolves into different weathers depending on the evolutionary stone used on. Can have a Ground-type mudman counterpart does the same with the moves it learned. That said, as I said before elsewhere, I suspect this gen will have around 65 new species at the start, because that would be equivalent to how we went from 151 to 135(135/151*72=64). More pure Bugs and Steel with 500+ BST. *A Water/Psychic slug in either Amorphous or Water 3 would be cool as well. From an older post of mine, White color in Pokédex lacks a Ground-type representation, so it would be cool if we got a white Ice/Ground. Similarly, Brown lacks a Fairy-type representation, which can be accomplished with a Ground/Fairy species. I remember, when Sun and Moon were announced that I saw a video of a fan who made starters and there was an awesome Water / Psychic starter. 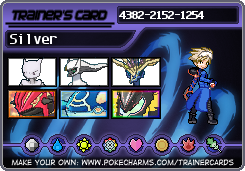 Current team: Decidueye, Lycanrock, Golisopod, Kommo-o, Alolan Raichu, Alolan Ninetails. All time reserves: Kanto: Pidgeot, Beedrill, Hitmonlee // Johto: Ariados, Ursaring, Sudowoodo // Hoenn: Linoone (Shiny), Ninjask, Sabeleye // Sinnoh: Luxray, Bastiodon, Mismagius // Unova: Semisear, Leavanny, Beartic // Kalos: Pyroar, Pangoro, Malamar. "A champion is someone who gets up when he can't. Well, there's obviously gonna be a new Eeveelution or two. There always have been every two generations. 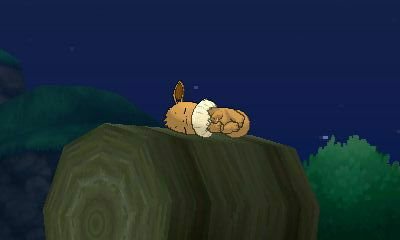 And I think Eevee's involvement in the next movie's a big hint. I also believe that there may be evolutions and pre-evolutions of other classic Pokemon as well. Like a pre-evolved form of Onix, and some new Hitmons. I've been saying this every pre-release since I first saw the idea, but Normal/Ghost-type based on Schrodinger's cat please. While Im not saying there wont be a new Eeveelution, referencing a pattern specially after the last few gens is not really proving much. After all as of gen4 every 2 gens had prevos and evos of old Pokemon, as well as 2 Eeveelutions. Gen6 comes along. And only 1 Eeveelution, no prevos, and instead of evos, we got M.Evos. A chimera type of Pokemon-psychic/dark. "Beast of the land"
A hippogriff-not sure on the type but it'd be the "beast of the land and skies"
I'd like to see a minor trio of legendary Pokémon that represent the aspects of the Egyptian sun god, Ra. I'd assume they'd probably be like the Regi trio of Hoenn, meaning in order to unlock their trio master, you'd need to capture all three members to awaken their trio master (who in this particular case would also be their arch nemesis, due to it being based on Ra's mortal enemy, Apophis). A Bug/Psychic-type scarab based on Khepri, who represented the rising sun. A Fire/Ghost type ram based on Khnum, who was in charge of the evening sun. The third member would be a Grass/Flying falcon who would be based on Ra. If there is a new eveelution I'd like to see a dragon, steel, or flying eveelution. Dragon and steel because Sylveon and flying because I think it'd be kinda funny to see it in the overworld because it'd be the first four legged flyer I believe. There's Landorus-Therian which is a four-legged flyer. Shaymin-Sky is also there and in terms of size probably the closest to an eeveelution. But yeah, I'd be interested to see what they'd do with a flying Eevee evolution. 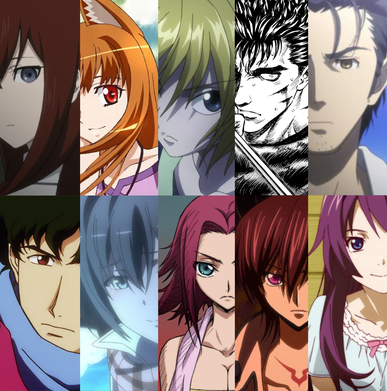 So far I like pretty much all of their designs. Aside from that I'm hoping we get two new fossil Pokemon. This time have them be based on mammals such as a Wooly Mammoth or Ground Sloth.